Dr. Harshwardhan Arya obtained his 'Bachelor of Dental Surgery' (BDS) degree in FIRST CLASS from Bombay University from Nair Hospital and Dental College, Mumbai India from 1992 - 96 and did his Masters in Prosthetic dentistry from Government Dental College and Hospital, Nagpur from 2000 - 2003 . Dr. Harsh Arya (Dentist in India) is a well known National speaker in Cosmetic and Restorative Dentistry and Dental Implants. He is Course Director for Continuing Dental education (CDE) and regularly conducts courses for general dental practitioners in several speciality subjects like porcelain laminate veneers, Implantology, Fixed Prosthodontics etc. Dr. Arya has been the recipient of several awards for scientific paper presentations including the very significant “International College of Dentists Merit Award” in 1996 for Prosthetic dentistry. He is the co guide in PhD research projects at the prestigious VNIT, with several national and international publications. 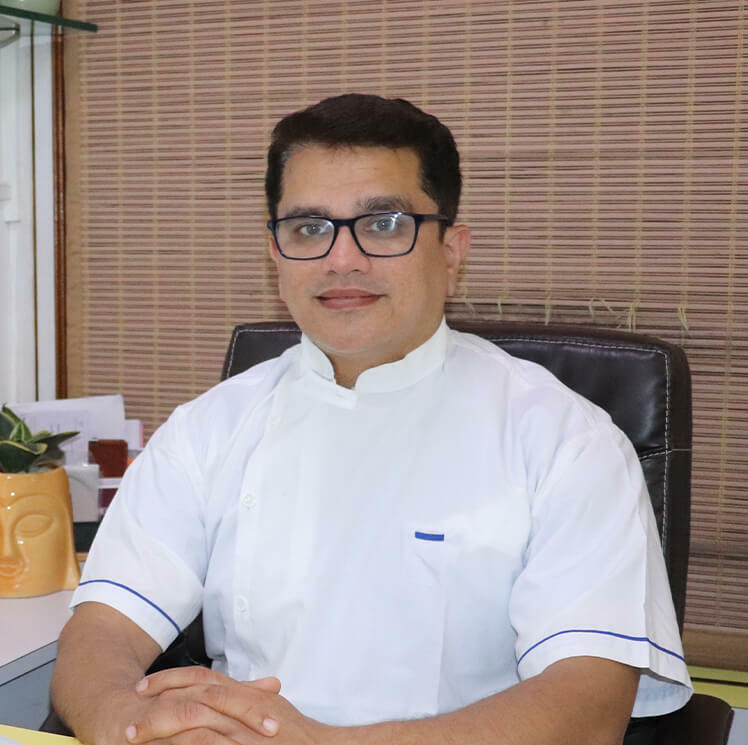 Besides maintaining his own Private Practice in Nagpur, he is a consultant Prosthodontist at Nagpur and Mumbai for restorative, implant and aesthetic dentistry. He was Professor and PG Guide in Prosthodontics at a prominent Dental College and Hospital, Nagpur. He was previously visiting faculty at SSR Medical and dental College, Mauritius. To further ensure quality dental care, he began his own dental Laboratory, where he personally supervises all work. A pioneer of sorts he was the first to acquire and introduce the CEREC technology in Central India. He is also the Key opinion Leader for CEREC in India.